Why all good things should fall apart. 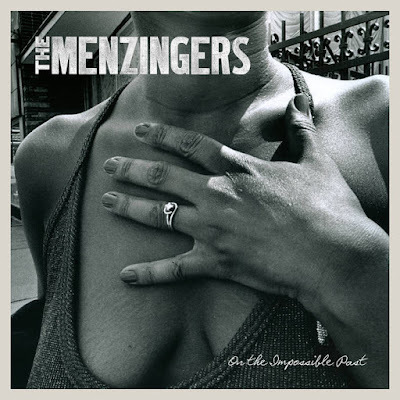 So begins The Menzingers’ latest record, the sweeping, driven, masterful On the Impossible Past. Those lyrics come from the opening (and essentially introductory) “Good Things,” a short song that starts calm before the guitars and vocals tumble into an avalanche of power. As we have come to expect from the band, which is following the phenomenal Chamberlain Waits, anthemic sing-alongs provide a vessel for thought-provoking lyrics. But it really is not enough to describe On the Impossible Past with your typical album review language. The jargon and the adjectives that we reviewers are notorious for rotating don’t do a record like this justice. Not at all. On the Impossible Past is the sort of rarefied album that doesn't come along often; it’s the type of record that, even only after a month of listening, I know will become regarded as a treasure. Riddled with thematic landscapes, On the Impossible Past presents a story, but it’s such a compelling, poetic and well-told story that by the time it ends, I need to hear it again. Right after listening to the album, I want to hear about the American muscle cars, the waitresses working at the diners, the late-night drives, the drunken escapades, the passion and dead-end-liness of everyday living, the good things and the nice things, I want to hear about all of these things all over again.